eClerx Services Walkin Drive In Mumbai | Financial Analyst Jobs | 30th November And 01st December 2017. eClerx Services has the latest job openings for graduates and MBA candidates. This company is going to recruit the freshers for the role of Finacial analyst by conducting a walkin interview. Interested aspirants can attend the eClerx Services Walkin Drive on 30th November And 01st December 2017. Eligible candidates can grab this eClerx Services Careers opportunity. Company Name eClerx Services Ltd. The candidates who have excellent verbal and written communication skills are most welcome to attend this eClerx Services Walkin Drive. Aspirants should have the ability to work in teams that handle pre/post settlement support, inter system reconciliation and shifts. To get the job in eClerx Services, prepare according to the given eClerx Services Test Pattern. you have to clear all the selection rounds conducted by the eClerx Services. It is not easy to get placed in IT Jobs. you have to work hard. Before going to attend the eClerx Services Job Interview, practice all the given eClerx Services Placement Papers. We advised that check recruitment notification for more walkin details. For more IT Jobs, contenders can go through the All India Jobs website. Working in teams that handle pre/post settlement support, inter system reconciliation, document risk review, reference data management and portfolio reconciliations. Processing the captured agreements and contracts. Reconciliation reports, preparation of statements using MS Excel, auditing. Any Graduate / MBA / Freshers can apply. Work Location – Mumbai Airoli. Candidates applied in last three months need not apply. The candidates who want to get the job in eClerx Services should clear all the given below selection rounds. eClerx services limited provides critical business operations services to over fifty global Fortune 500 clients, including some of the world’s leading companies across financial services, cable & telecom, retail, fashion, media & entertainment, manufacturing, travel & leisure, software, and high-tech. Incorporated in 2000, eClerx is one of India’s leading process management and data analytics companies and is today traded on both the Bombay and National Stock Exchanges of India. eClerx employs 9,000 people across its global sites in the US, UK, India, Italy, Germany, Singapore, Thailand. For more information, please visit the official website of eClerx. eClerx services is going to conduct a walkin in Mumbai for the candidates who complete ant graduation or MBA. 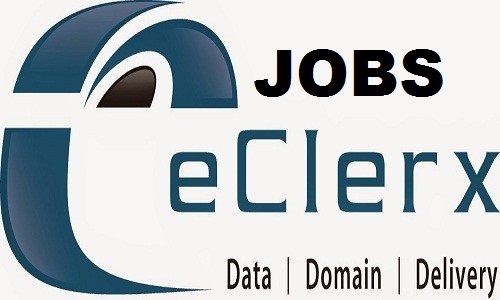 The eligible and interested aspirants can directly attend the eClerx services job interview for the role of financial Analyst on mentioned dates. We hope that the given information regarding eClerx Services Walkin Drive is useful for your job search. You can also bookmark our website www.allindiajobs.in for more fresher jobs, walkins, etc.